Italy was ordered on Thursday to pay Amanda Knox just over $20,000 after a court found her rights were violated when she wasn’t given an interpreter or access to a lawyer during a night of questioning about the murder of her roommate in 2007. “Ms. Knox had been particularly vulnerable, being a foreign young woman, 20, at the time, not having been in Italy for very long and not being fluent in Italian,” the European Court of Human Rights noted. Knox, now 31, took Italian authorities to court for the way she was treated during an interrogation following the death of British student Meredith Kercher in Perugia — where she falsely accused an innocent Congolese barman of being involved in the murder. “I was interrogated for 53 hours over five days, without a lawyer, in a language I understood maybe as well as a 10-year-old,” Knox said in a statement to the court. The court upheld her complaint and ordered Italy to pay the Seattle native $21,000, well below the $3 million she had sought for the way she had been prosecuted. 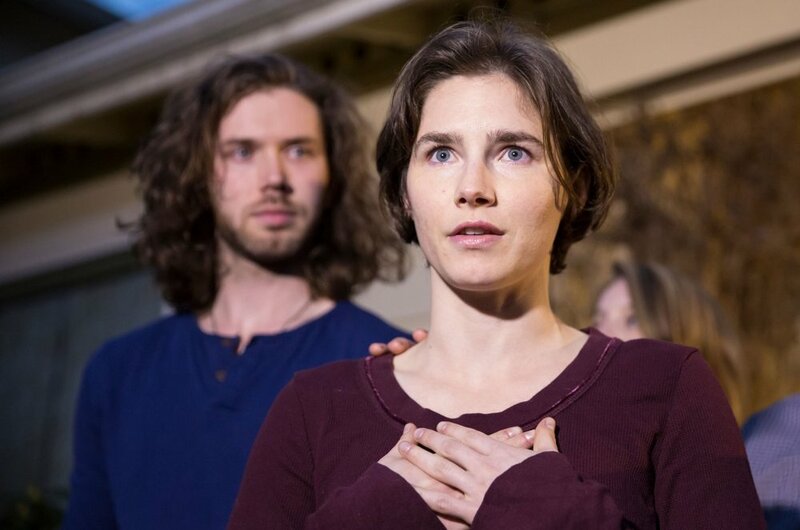 SEE ALSO Amanda Knox pens tribute to slain friend Amanda Knox pens tribute to slain friend Knox claimed she’d been slapped in the head twice during questioning, but the court said it found no evidence of inhuman or degrading treatment. The woman, once dubbed “Foxy Knoxy,” and her then-boyfriend Raffaele Sollecito were sentenced to 25 years in prison for Kercher’s murder. After a seven-year legal battle, and nearly four years in jail, Knox was acquitted in 2015.